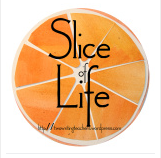 Two Reflective Teachers: Slice of Life: What do you do at NCTE anyway? Good PD is priceless! It is great that so many people take their job so seriously knowing that not everyone can afford the real price of such awesome learning. I always feel like our job is to then spread the learning, and i know you will. As I near the end of my career and money is slightly less of a problem than it was as a young teacher, I long to go to conferences more. The desire to learn and learn and learn hasn't left me. Sometimes I think, should I go? after all I will retire soon(ish). I have never been to NCTE. Still on my bucket list. It is hard to explain why we pay the money to do this thing. It's like the money I spend on books so that I have a full library for my students. It's the hours of unpaid planning we do. But even more than that, NCTE recharges my teacher soul and helps me remember why I do this work. It was so good to see you and get caught up. "...not what you make, but what you decide to spend it on." I like that. I haven't flown alone in a long time. I always used to like making conversation with new people.